There has always been a lot of confusion surrounding carbohydrates. It really isn’t all that complicated. There are good carbohydrates and there are bad ones. The good ones will give you energy for physical activity. They are also full of nutrients needed for optimum health and proper brain function. Scientific studies show that bad carbohydrates are attributed to gaining weight, diabetes, heart disease and Alzheimer’s just to name a few. Healthy carbohydrates and high-fiber foods will help in lowering cholesterol, losing weight and having much better sustained energy levels. It will also aid in decreasing the risk of heart disease and avoiding or even reversing diabetes. Making the right food choices will make a person feel great and have a better quality life. Rich Zaydel is head trainer and instructor at RocknRoll Brazilian Jiu Jitsu and Fitness in Orange County, California. Rich Zaydel is aNational Academy of Sports Medicine certified personal trainer and a certified Brazilian Jiu Jitsu instructor under Master Joe Moreira. If you are a serious Brazilian Jiu Jitsu player competing in tournaments, or, an endurance athlete of any kind, then you understand the importance of good nutrition. And, studies show it’s not just what you consume, but how much and when to consume it. Timing has become critical. Here are some of the pre-tournament guidelines we recommend to our competitors at RocknRoll Brazilian Jiu Jitsu and Fitness in Orange County, California. 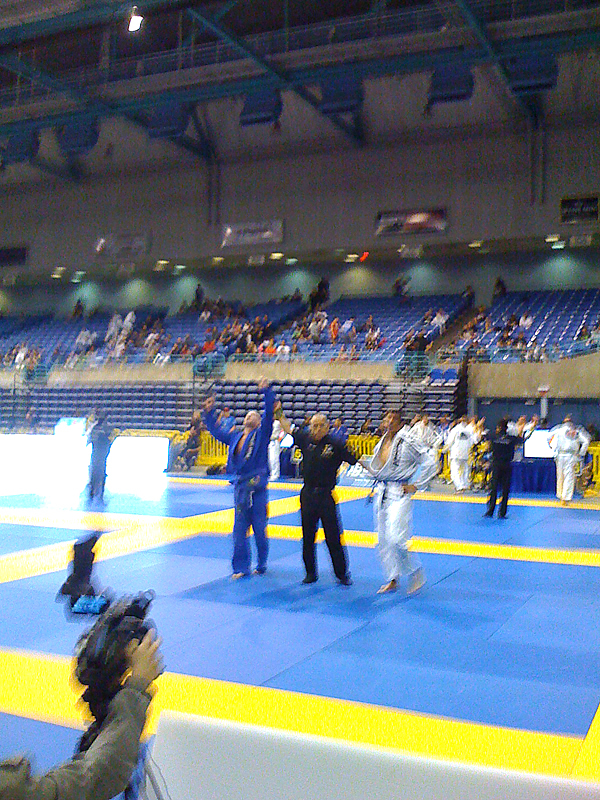 RocknRoll BJJ Tournament Nutrition Works! Repeated days of intense training for an upcoming tournament can dwindle a persons glycogen stores. A high-intake diet of healthy carbohydrates will help to replenish the glycogen stores, but, timing is very important in maximizing recovery. Consuming 1.5 g/kg of carbohydrates within 30 minutes of training is recommended to maximize glycogen replenishment. If intake is postponed by as little as two hours, the results may be a decrease of total muscle glycogen syntheses by 66%. Additional meals of 1.5 k/kg of carbohydrates every two hours are recommended to completely restore muscle glycogen. Carbohydrates should be the focus leading up to the tournament, but an endurance athlete must not neglect daily protein requirements. Protein is crucial for forming red blood cells and increasing the number of oxygen carrying enzymes in the blood. and replacing the body’s protein stores. Protein also builds and repairs muscle tissue, boost the immune system and replaces hormones. Our bodies do not store excess protein as protein or amino acids, so its important that adequate protein is consumed each day. Figuring your daily protein needs is easy. Endurance athletes such as Brazilian Jiu Jitsu competitors should consume between 0.7-0.8 grams of protein per pound of body weight daily. For example, a 200 pound man’s daily protein requirement would be 160 grams because 0.8 x 200=160. The need for protein is actually a need for amino acids. All proteins are made up of amino acids which are needed to build and repair tissue. There are a total of 21 different amino acids and all protein is made up of a combination of them. Our bodies can make some amino acids, however there are eight essential amino acids that must come from foods we eat. All the essential amino acids are needed in order to build and repair muscle. A balanced diet consisting of real foods will provide the proper balance of all the amino acids. Hydration is important. Men require a baseline of 125 fluid ounces daily and women require a slightly lower amount of 90 fluid ounces daily. Be sure to drink the required amount. Don’t worry about having to drink extra. The additional carbohydrate servings will help hold water. However, be sure to consider how much you sweat. If you are a heavy sweater, be sure to add a little sodium to your meals. On the day of the tournament, eat a meal two to three hours prior to your matches. Your meal should consist of roughly 100 grams of carbohydrates and 15 to 20 grams of protein. Also, include 20 grams of fat and 20 ounces of water. If you sweat a lot, be sure to add a little sodium to your meal. Timing this may be frustrating because often times Brazilian Jiu Jitsu tournaments don’t always stay on schedule. Adapt these guidelines to the best of your ability to the timing of your fights. If your bracket or round of fights are under an hour, then you will be fine with just drinking water. However, consider using a sports drink in between matches instead. Sports drinks aid in hydration, replace electrolytes and slow glycogen depletion. Hopefully, these guidelines will help you as it has our RocknRoll Brazilian Jiu Jitsu and Fitness family. 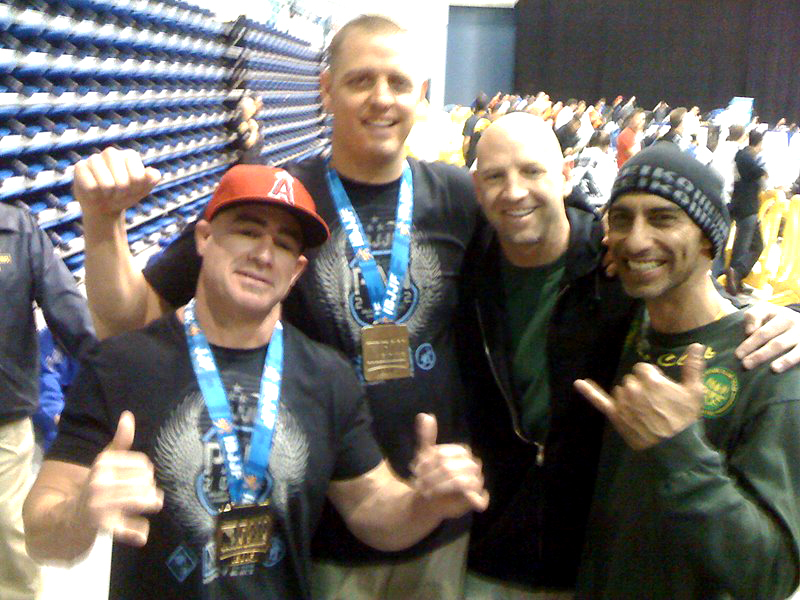 Rich Zaydel is head trainer and instructor at RocknRoll Brazilian Jiu Jitsu and Fitness in Orange County, California. Rich Zaydel is a National Academy of Sports Medicine certified personal trainer and a certified Brazilian Jiu Jitsu instructor under Master Joe Moreira.